CERTISYS is an inspection and certification body specialised in organic products since more than 30 years. Certisys operates in Belgium, Luxembourg, Africa and globally via the CertiBioNet network. 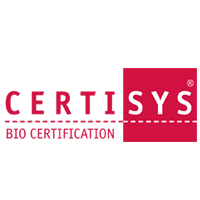 Certisys certifies not only European, national and regional organic farming systems, but also private specifications such as Biogarantie® and Ecogarantie®. Certisys gives also access to the foreign markets such as the USA, Japan, England, Brazil, Argentina, France, etc. Our mission is to continue to promote the organic industry and to ensure the credibility of organic. Our challenges are to provide effective, credible, relevant and recognized controls and certifications. The company is working in this direction with all the members of the organic sector to develop and promote organic farming in a participatory way . Our job is also to disseminate and update knowledge and tools that will enable producers to offer consumers healthy products and without risk for humans as for nature.